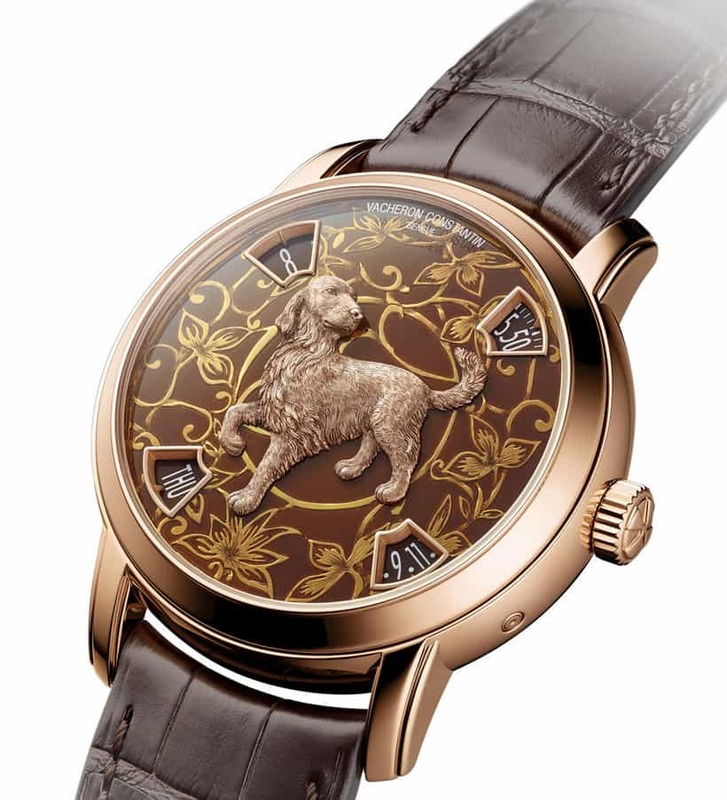 The Year of the Rooster is almost over and it’s time to feel excited by the upcoming Year of the Dog. 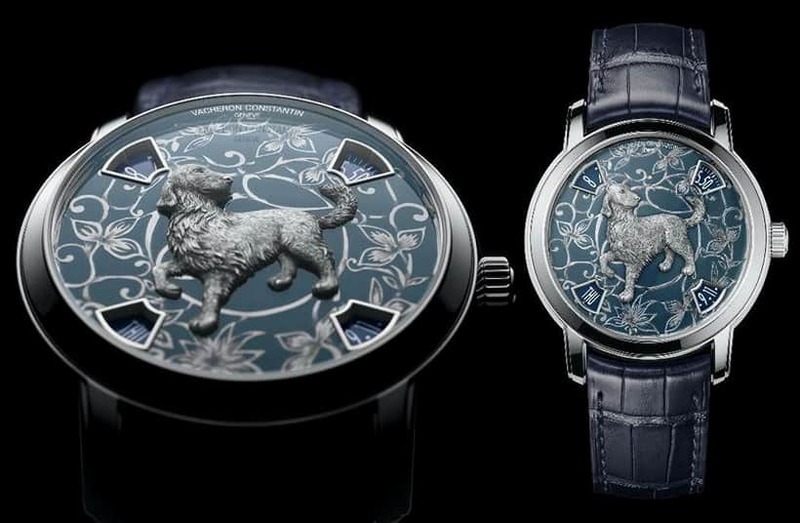 Designed to celebrate the new Chinese zodiac year, the Vacheron Constantin Year of the Dog watch is a limited edition timepiece available in two forms – a model with a platinum blue dial and a white gold dog, or a version with a pink gold burnished red dial and a pink gold dog. Each version will be produced in only a dozen units. Well, for instance, the dials also show off wonderful decorations realized with the help of an ancient art of paper-cutting, known in Chinese as Jianzhi. 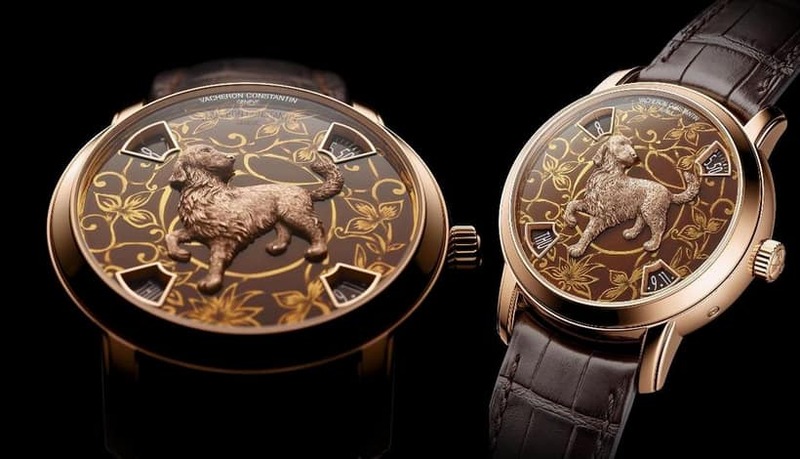 Master engravers and enamelers at Vacheron Constantin have created the engraved foliage motif on each dial which seems to be floating over it. 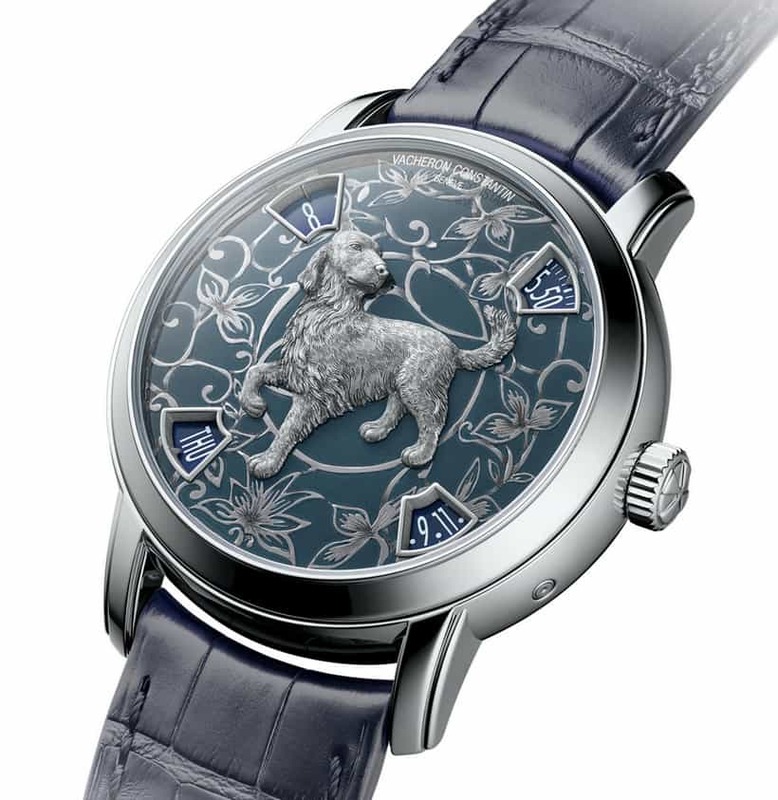 By using the Grand Feu enameling technique and heating kiln between 800 and 900 degrees Celsius, the craftsmen managed to achieve the stunning dial shade. 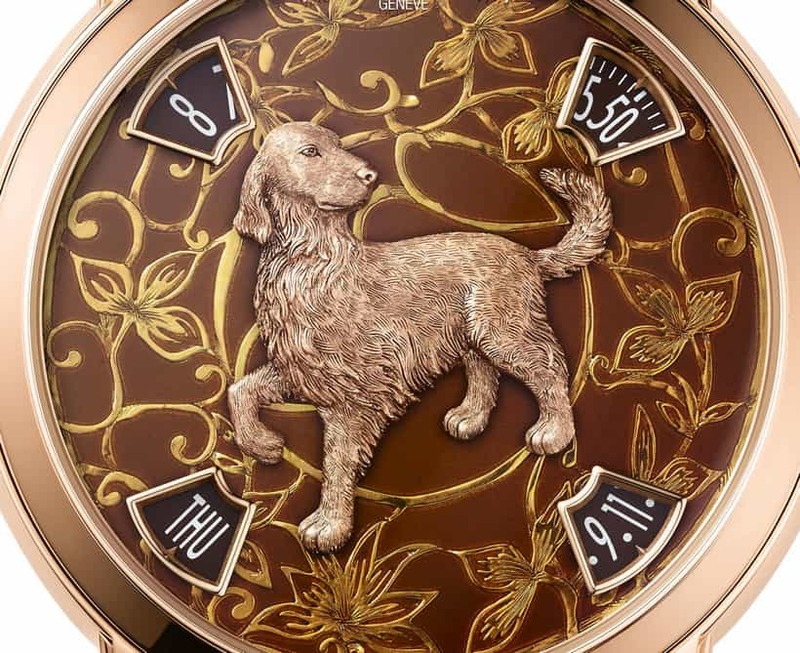 The platinum or pink gold dog sits in the center, looking as realistic as humanly possible. Powered by the in-house made Calibre 2460 G4 movement, backed up by 40 hours worth of power reserve, the 40 mm case sits on a chic Mississippiensis alligator leather strap, with alligator leather inner shell, and a platinum or 18kt rose gold folding clasp. There is no word yet on the retail price, but you should expect to pay at least $100,000 for the pink gold version and $125,000 for the platinum. 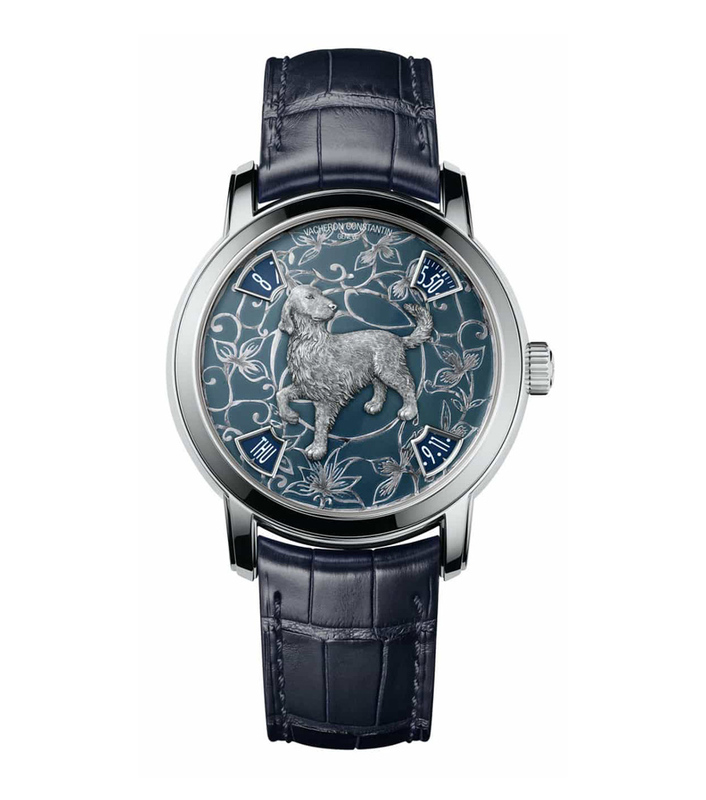 Also we recommend you to check our list of Best Black Watches for Men.